Choosing a care home for a family member can be a challenging and emotional time. At Devonshire Care we endeavour to make the process as painless as possible and ease the transition for your loved ones. Below are some resources that can help in the search and selection of a care home and to see what financial support you may be entitled to. AgeUK has a great checklist that allows you to outline your priorities in a care home and compare the offerings of various providers. You can download that here. Payingforcare.org is an impartial and consumer friendly website providing information on all aspects of care funding including local authority assessments, care entitlements, costs of care and arranging care for someone else. Visitors have instant access to professional, specialist care fees advice through a live chat service. The Department of Health – The Department of Health (DH) exists to improve the health and wellbeing of people in England. The National Health Service – The official website of the NHS in England. The Care Quality Commission –The Care Quality Commission is the independent regulator of health and social care in England. The English Community Care Association –The English Community Care Association (ECCA) is the largest representative body for community care in England. Patient UK – Comprehensive health information as provided by GPs and nurses to patients during consultations. 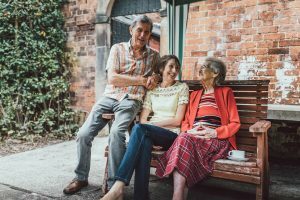 Alzheimer’s Society – Alzheimer’s Society is a membership organisation, which works to improve the quality of life of people affected by dementia in England, Wales and Northern Ireland. Multiple Sclerosis Society – The MS Society is the UK’s largest charity for people affected by multiple sclerosis. The Motor neurone Disease Association – A definitive resource for people with MND and those who care for them. The Parkinson’s Disease Society – No one should have to face Parkinson’s on their own. If you are affected by the condition, The Parkinson’s Disease Society are here to support you. The Stroke Association – Working for a world where there are fewer strokes and all those touched by stroke get the help they need.